Whether you are organising a wedding, a corporate reception, a product launch, a garden party or a cruise, our Jazz Band will jazz-up your event in a style that catches exactly the right mood. 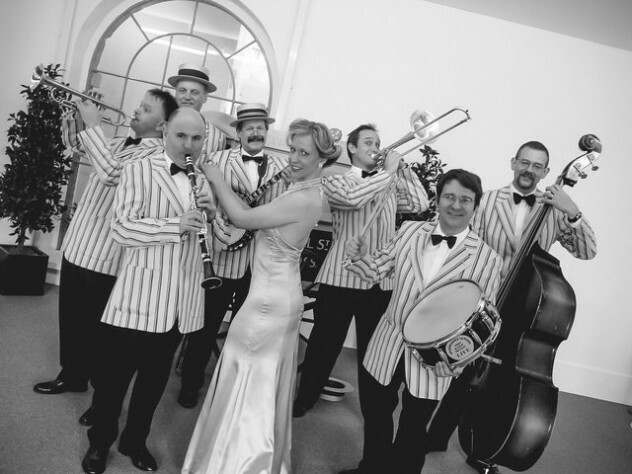 From a subtle dinner-jazz session or a New Orleans street band to a dancing frenzy, our JazzBand will add class and a sense of fun to your party. Dixieland, Latin, New Orleans, Louis Armstrong, Swing, Jazz-Jive, Duke Ellington, Glen Miller, Traditional Jazz, Songs from the Shows, Nat King Cole, Fats Waller.